Subclinical hypothyroidism (SHT) has been reported to present in 4 to 20% of the adult population. Patients with this thyroid disorder typically present with a serum TSH that can range from 5 to 9 mU/L along with varying degrees of symptomatology including bradycardia, constipation, dry skin, hoarseness, fatigue and muscle cramps. 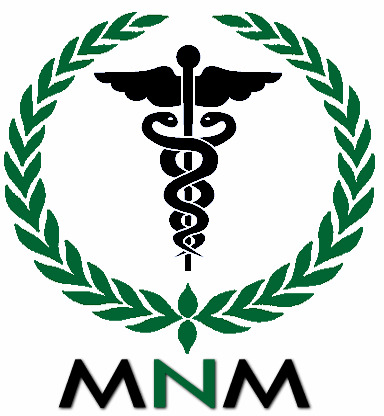 In addition, untreated SHT may have significant health consequences as it increases the risk for coronary heart disease (dyslipidemia, endothelial vascular dysfunction) in adults.4 While there are a number of prescriptive treatment options including low doses of L-thyroxine or whole gland thyroid, both nutritional and herbal remedies are useful therapeutic adjuncts. 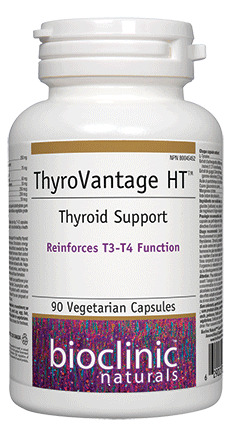 The amino acid L-tyrosine, as found in ThyroVantage HT, is an important nutritional precursor for thyroxine (T4). Biochemically, L-tyrosine is iodinated from thyroglobulin to form diiodotyrosine which in turn is oxidized to the hormone thyroxine (T4). Iodide is another important factor in thyroid function with the oral administration of 500 mcg per day resulting in a significant increase in TRH-stimulated serum TSH concentrations.